So I'M Finally getting round to sorting out my first build, which is going to be a an old school / new school retro cruiser....the question is how to i identify the age of my NOS Bullseye hubs that have just arrived from the US? Probably should have done a bit of research first but i got over excited when they came up on the Bay. Any advice you guys may have would be appreciated. Also i'm in the market for some black 24" rims & gold spokes would you go new or old school? Its going to be a rider but wont be getting much use tbf. Hazard lites is what i'm thinking? But i'm a bit stumped at the moment. Should help a bit, you can age them by the colour of the bearings, alot of the bullseye hubs on ebay are modern versions and are not 'old school' Bullseye are still around making products today. Scroll down to the bottom and it mentions hub decals/timeline. Thanks for the info guys, much more help than the 'other' bmx site..... So overall fairly difficult to tell if you have a new re-stickered pair? Oh well i guess its not the end of the world if they're not quite as old as i first thought....still stoked to have a set, i wanted a pair of these soooooooo bad bintd! 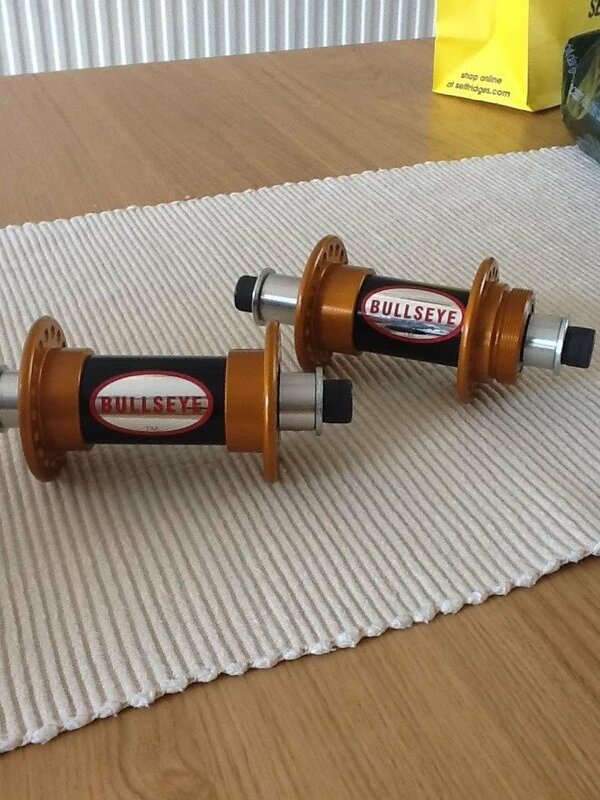 Old or new, Bullseye hubs are ace. I have about 8 sets. Love them.